← Shotgun for Protection When Fishing? Electronic decoys NOT legal to use between the start of the waterfowl season and Nov. 30: Electronically powered rotating or spinning wing decoys are prohibited during this period. Instead, all rotating or spinning wing decoys must be powered exclusively by the wind. Regulations (California Code of Regulations Title 14, section 507) only prohibit wings and wing-simulated devices that spin or rotate on an axis, if the movement is caused by anything other than natural wind (e.g. decoys with wings that spin by mechanical device and wings that flap and “rotate on a bi-lateral axis”) and they are used before Dec. 1. Electronic decoys legal to use throughout the season: Decoys that simulate flapping, swimming, quivering, moving or squirting, but do not have rotating or spinning wings, are legal all season long. Examples include: decoys with mechanical feet or heads, wings that ONLY flap, wings that spin only by wind, etc.. 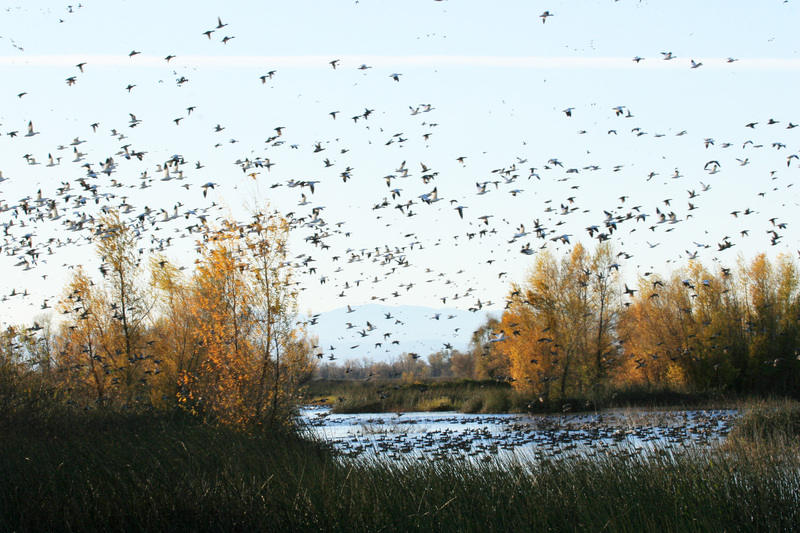 Provisions Related to the Taking of Migratory Game Birds. (c) Prohibition on Electronically or Mechanically-operated Devices. Electronic or mechanically-operated calling or sound-reproducing devices are prohibited when attempting to take migratory game birds. It is unlawful to use devices that are either electronically-powered, or activated by anything other than natural wind, to directly or indirectly cause rotation of decoy wings or blades that simulate wings, when attempting to take waterfowl between the start of the season and Nov. 30. In addition, decoys that use flashing lights on the wing are also illegal as lights are illegal to use to assist in taking any game (Fish and Game Code, section 2005). Answer: The sunrise and sunset times you should use are either those times printed in the local newspaper for the area where you are hunting, or if you look in the 2014-2015 hunting regulations booklet for waterfowl and upland game, go by the shooting hours times listed on pages 8-9 for the location closest to where you are. Although times will vary slightly, there are many other sources including a GPS which will give the time for your exact location, and many cellular telephones have information available for the closest town or your exact location. Safety should always be your first priority though. For example, if you’re hunting in a deep canyon with high walls that partially block out the sunlight normally visible at sunrise or sunset, you should adjust your shoot times accordingly to be sure you are not shooting in the darkness. Answer: Bow and arrow fishing tackle may be used to take fin fish other than giant (black) sea bass, garibaldi, gulf grouper, broomtail grouper, trout, salmon, broadbill and white shark. Yes, tuna would be an “other finfish,” but to be legal, the gear must meet the definition of bow and arrow fishing tackle in CCR, Title 14 section 1.23. This entry was posted in Decoys, Fish and Game Code, Saltwater Fishing, Spear Fishing, Title 14, Uncategorized, Waterfowl and tagged archery, baiting, big game hunting, Duck Hunting, fishing tackle, ocean fishing, regulations, tuna, waterfowl. Bookmark the permalink.